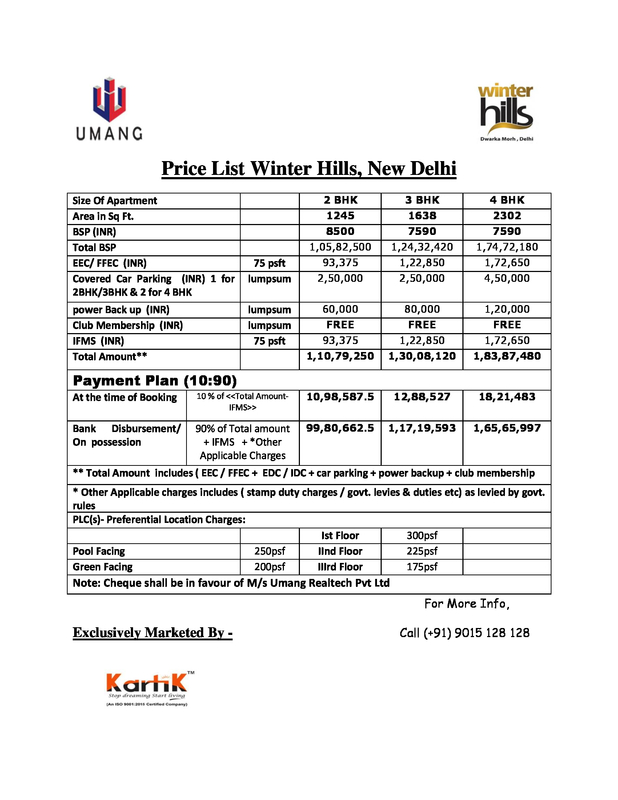 Winter Hills is a new residential project of Umang Realtech that provides 360 units of luxurious ready to move in 2, 3 and 4 BHK flats with sizes ranging between 1,245 sq ft to 2,192 sq ft Umang Realtech aims to deliver luxurious flats at reasonable prices. 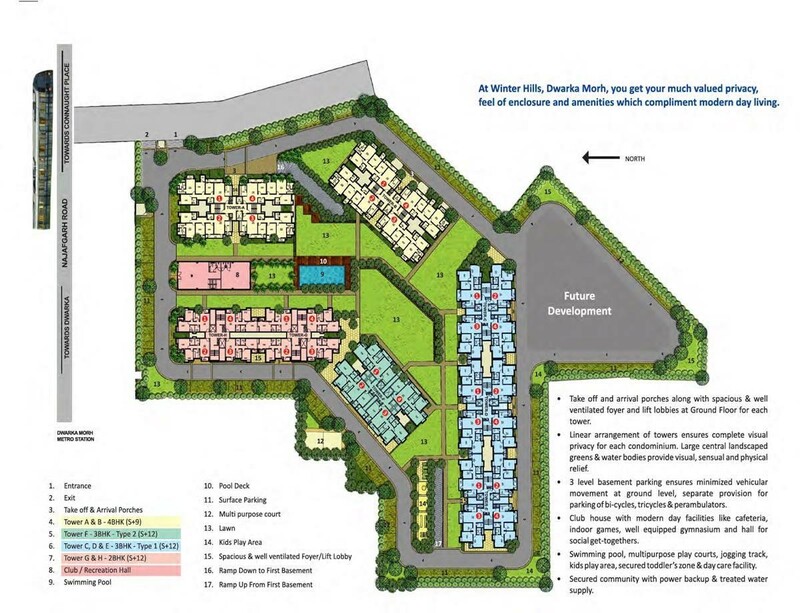 Winter Hills, Shanti Park is a heavenly abode cradled within the lap of nature, where you get luxurious flats in Dwarka designed superbly in sync with eco-friendly construction. 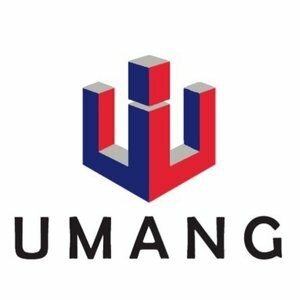 Umang Realtech is a well-known builder with a bunch of projects to their name. 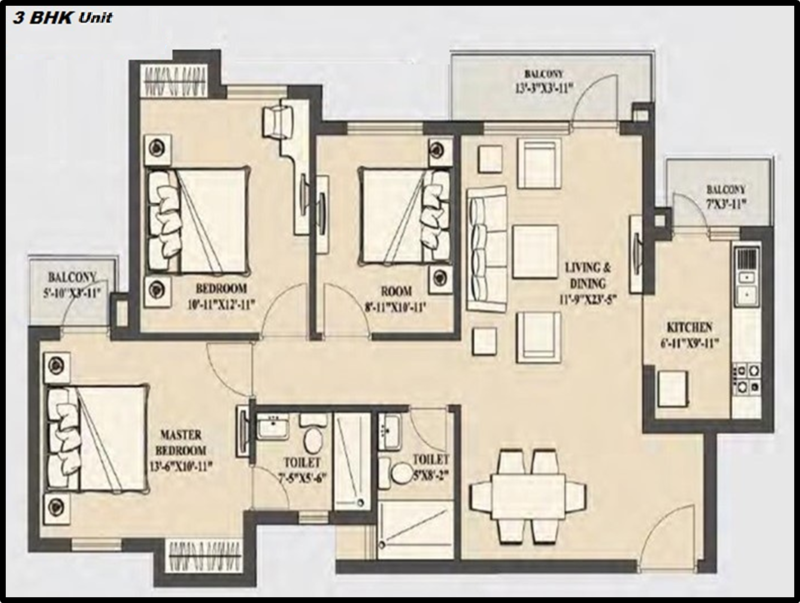 These flats in Dwarka embrace the wonder of the perfect location and compliment it with aesthetically designed interiors. 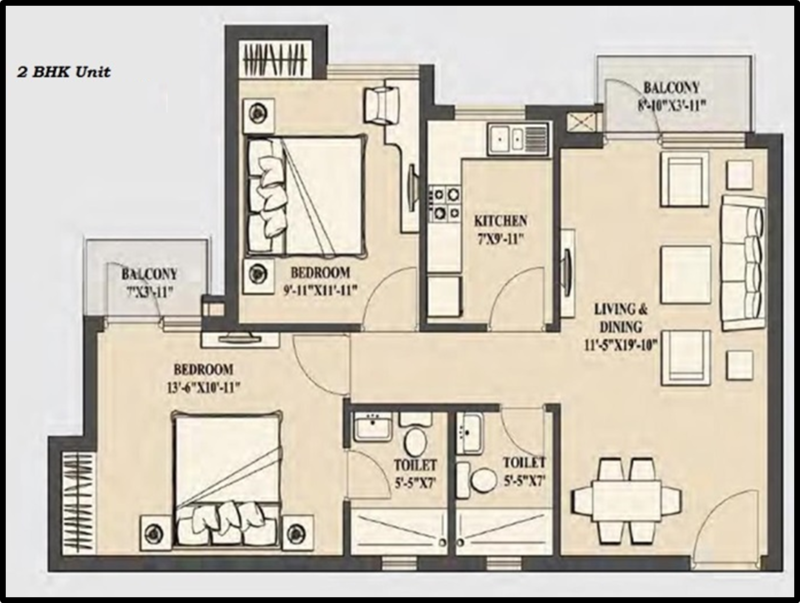 well planned spaces inside and outside 2/3/4 BHK flats provide complete peace and satisfaction to your family. 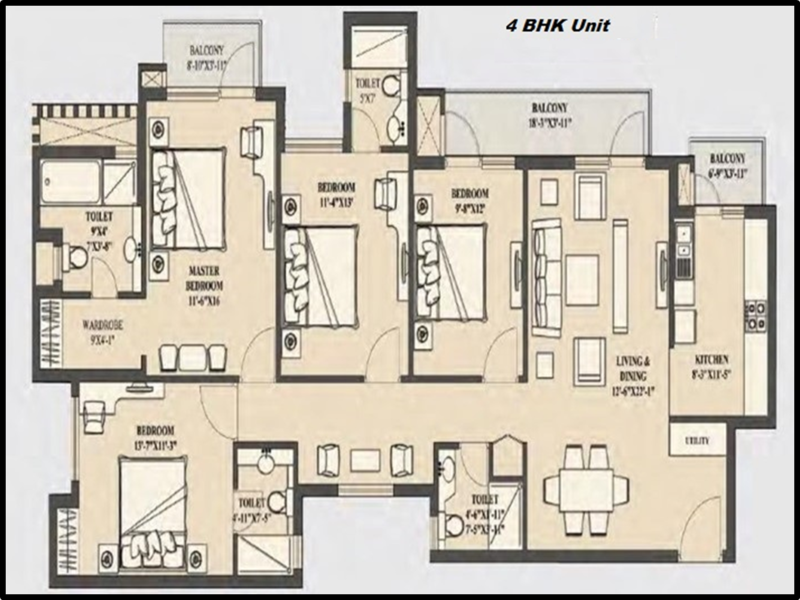 These residential project is located in Shanti Park Dwarka, Delhi, Winter Hills comes equipped with world class amenities like children's play area, gymnasium, swimming pool, club house, power backup, landscaped gardens, party hall, car parking, 24x7 security, spa, commercial shops, restaurant and lots of. Nearest Hospital Just at 2 Kms. 12 Kms From Delhi IGI Airport. 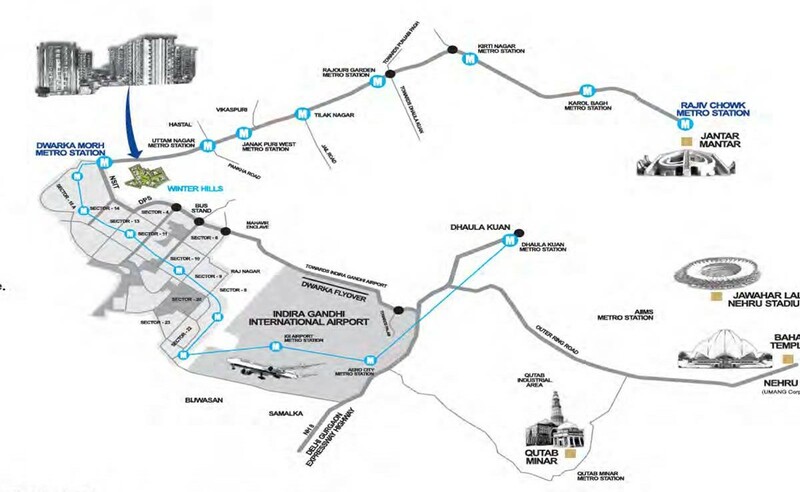 1.3 Km from NH 10 on propossed 60 mtr sector road, proposed city center metro station. 900 Mtr from Bahadurgarh Bypass on propose 60 mtr sector road. 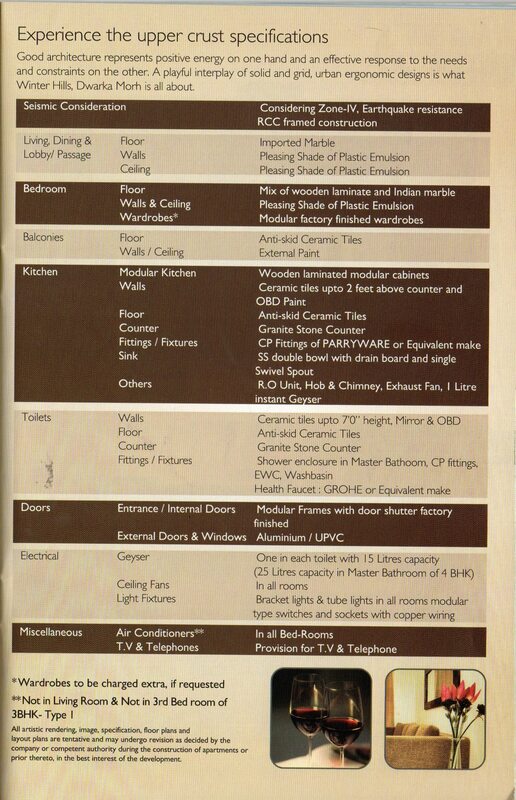 25 minutes drive from Punjabi Bagh Chowk.